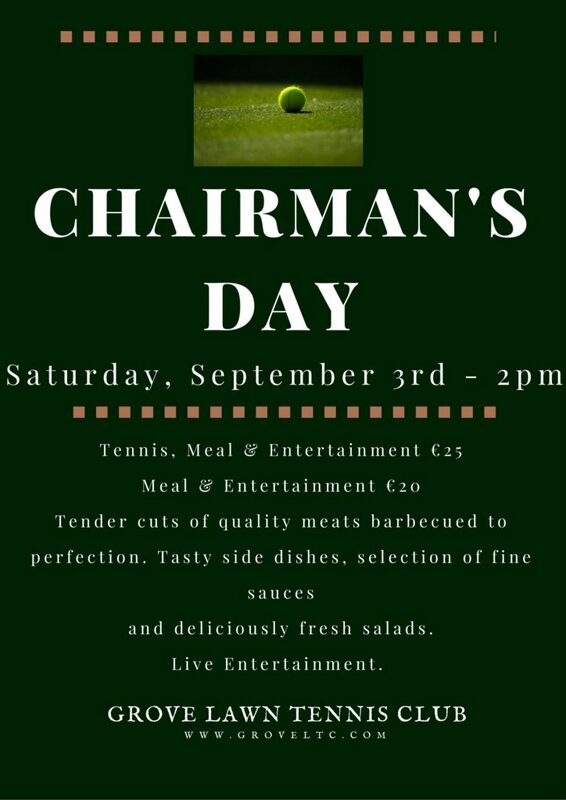 For any members who haven’t been to a Captains or Chairman’s Day before, then this is a great opportunity to either play tennis and/or come along for the BBQ/beer/wine and live music 70’s, 80’s & 90’s. Contact Derek or any committee member to book your place. A great night’s craic guaranteed!